The most time consuming part when cooking a turkey is preparing the materials. So you should arrange to have all the ingredients ready. Before brining, take out the innards. Get a bowl and put salt and water in it. Stir until the salt disappears. Put the turkey in it. Place the turkey in the fridge for six hours. After six hours, remove the turkey. Throw away the water. 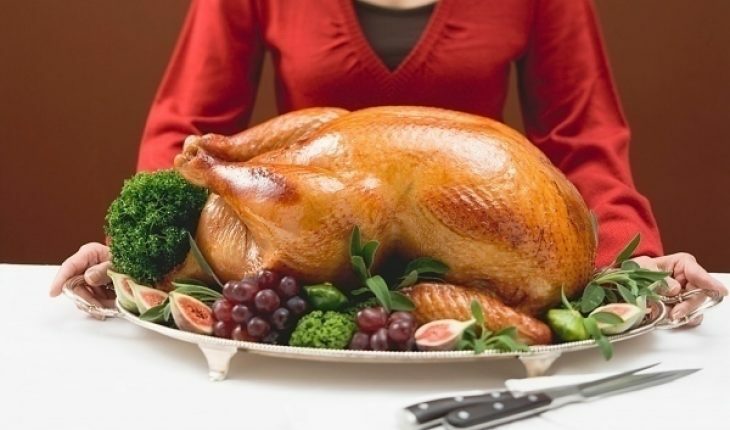 The process of cooking a turkey begins when you wash the turkey under tap or cold water. Dry the meat with the paper towels. Turn the oven on and preheat it at 325 F. Take the foil and place it on the rack. Make plenty of holes in the foil to ensure good air flow. Now get the celery, carrots and other vegetables you may have. Chop them into small pieces. Put them in the roasting pan along with the thyme and other herbs. Get the cup of broth and pour it into the pan. Place the rack on the pan. Melt the butter and rub it around the turkey. Start cooking a turkey by placing it on the pan. The breast side should face downwards. Insert the pan in the oven. Let it cook for 45 minutes. When that time elapses, take out the pan and shut the oven door. Use a brush to put the dripping back onto the turkey. Resume cooking for another 45 minutes. If necessary, use the brush to put the juices on the meat. Let it roast for another half hour. When the time passes take out the pan. Shut the oven door quickly. Grab some paper towels and use it to flip the turkey over. Sprinkle the drippings uniformly all over it. Keep cooking a turkey until the temperature goes up to 165 F. By this time the thigh temperature should be 175 to 180 F. You can take it out of the oven. Rest the turkey for 20 minutes. If the turkey is pre-stuffed, you should not thaw it. Also, don’t use fresh stuffing if your cooking method is grilling or smoking. No matter what you stuff inside, the internal temperature must be at least 165 F before it’s taken out of the oven. A good rule of thumb is ¾ cups of stuffs for a pound of meat. An 8 to 12 pound turkey needs 3 days to thaw. A 16 pound will need six days while those over 20 lbs also need six days. Most recommend thawing a frozen turkey in the fridge. You can also use cold water, but there is the risk of bacterial infection. Most like cooking a turkey during special occasions, but really, you can serve it on any day. Whether it’s a big celebration or you just want something to go with your sandwich, turkey can be your all purpose dish.